The exploration of innovative and creative methods of mining Bitcoin and other virtual currencies is always a very interesting endeavor because of the continuous increase in the price of the digital currencies, particularly Bitcoin. The use of the superchargers of electric vehicles like the Tesla model could be a good idea, but some issues may arise. Among these concerns is the possibility that the mining rig could produce lots of heat that could damage the car’s internal parts over time. The car’s battery pack could also be easily damaged when used continuously for Bitcoin mining. 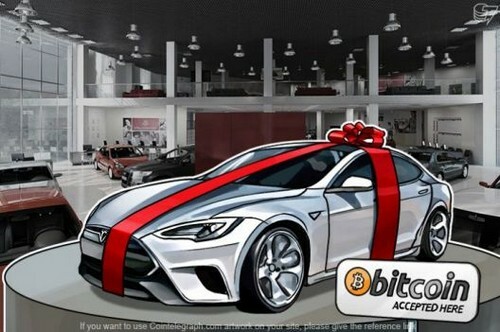 Despite its great potential and possibly good profits, Tesla or other electric car owners should decide carefully if they want to use this approach to mine cryptocurrencies due to its potential adverse effects on the performance of their cars. Those who want to mine digital currencies may also want to explore other approaches in mining like the use of renewable energies like solar panels. However, because they are still in the early phase of developments, these new technologies require a hefty upfront investment. Miners should be prepared to spend a large amount of money if they decide to mine Bitcoin using these methods.